Calling all teachers! If you’re looking for something cute and fun to wear for the first day of school – and any other day – you’ll want these fabulous Teacher Back to School Tees in your lives. Grab these for $13.99 (reg. $25). These are unisex tees, so you can get your usual size or size down for a more fitted look. There are a bunch of cute styles available. I love the “Teaching is my Jam” and the floral feather and arrow design with the grade you teach. You can get the grade level tees in any grade. At this price, you can grab a few of these to rotate through during the year! 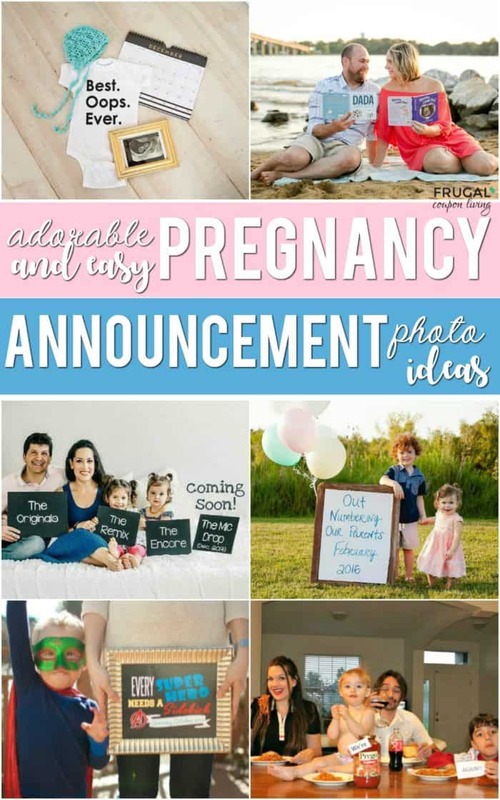 Cute Pregnancy Announcement Ideas and Gender Reveal Photos. 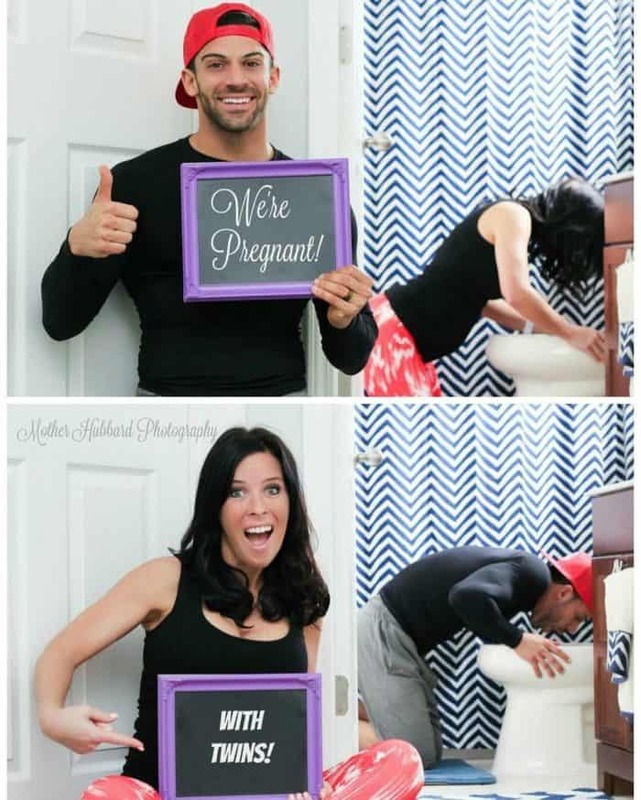 Pregnancy announcement ideas for Facebook, social media, grandma, husband, family, and more. Man this post gave me baby fever! 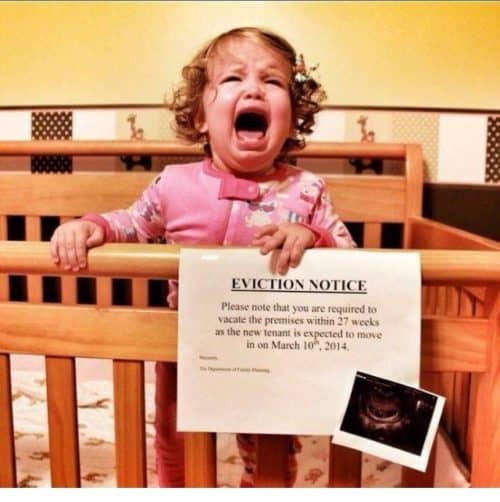 I think knowing we are done having babies made it particularly hard. As if doing this four times before wasn’t enough, there are many create ideas I wish to recreate. 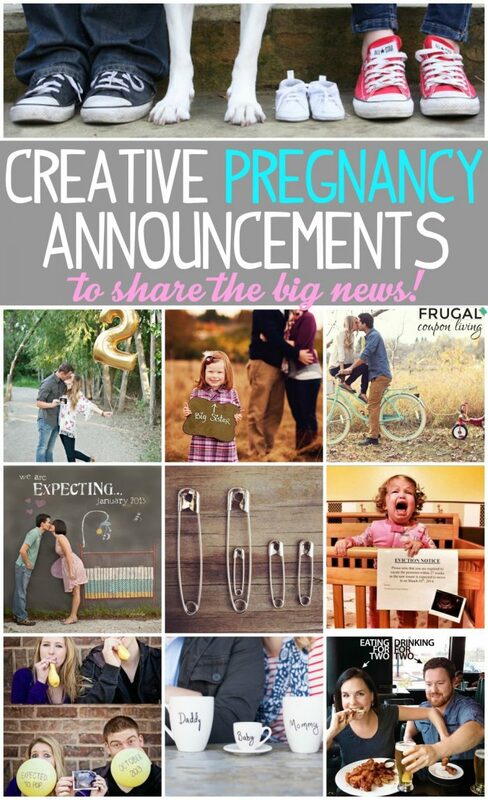 I figure I would fix my baby fever by offering you help with your creative Pregnancy Announcement Ideas. 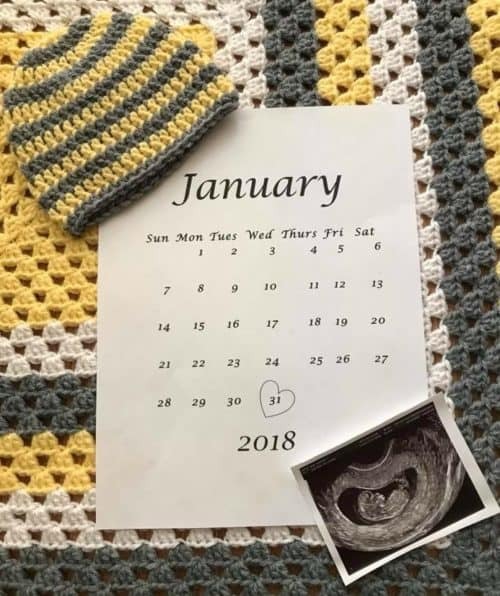 I had my first baby then years ago and the most recent babies (twins) six months ago and wow have the ideas changed. 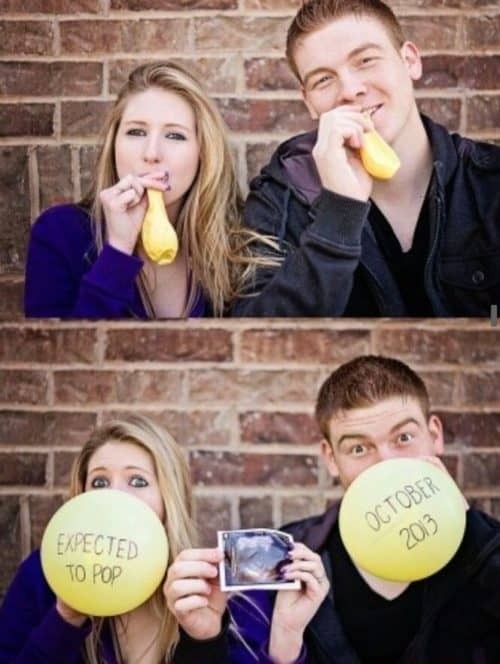 With the evolution of Pinterest, pregnancy announcements are getting better and better! Wouldn’t you agree? 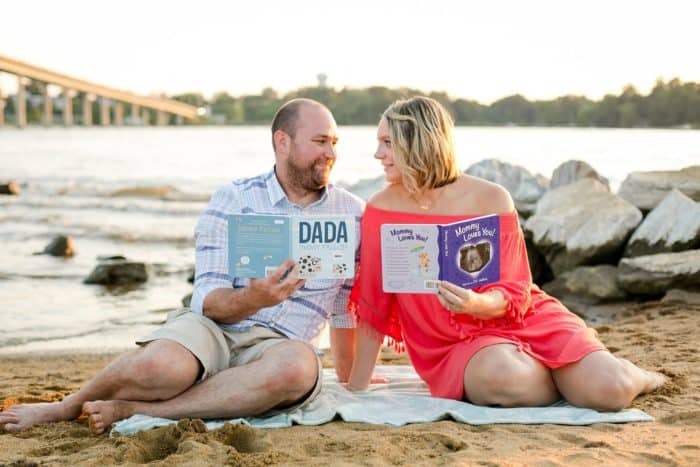 We have pregnancy announcements to surprise your spouse, make your audience laugh, reveal genders, and evict older siblings. 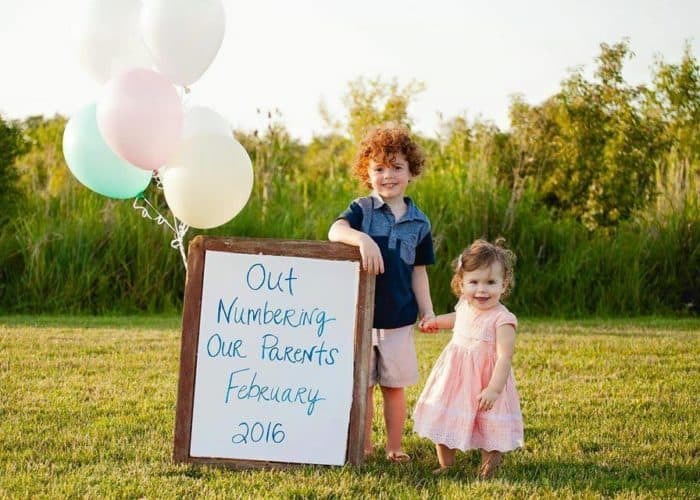 Take a look at these adorable and easy announcements from parents who have nailed it before you! Have a loved pet? You have to totally incorporate the dog! 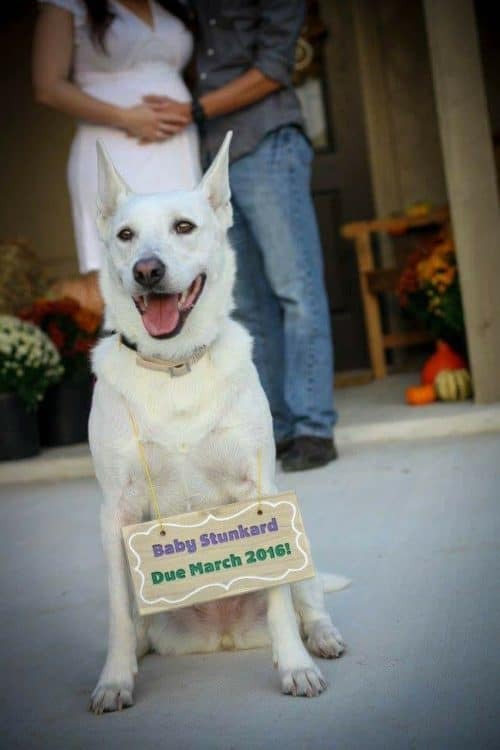 We love this Dog Pregnancy Announcement Idea. | Shared by our readers. Swing Batter Batter! 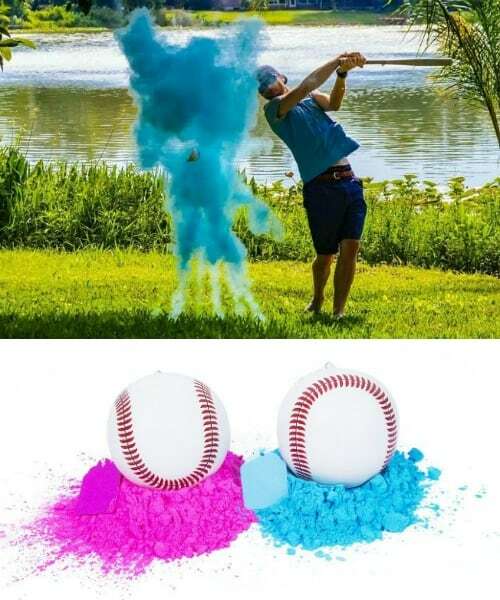 This is a fun gender reveal, grab a pink gender colored baseball or blue gender reveal baseball. | Shared by our readers. 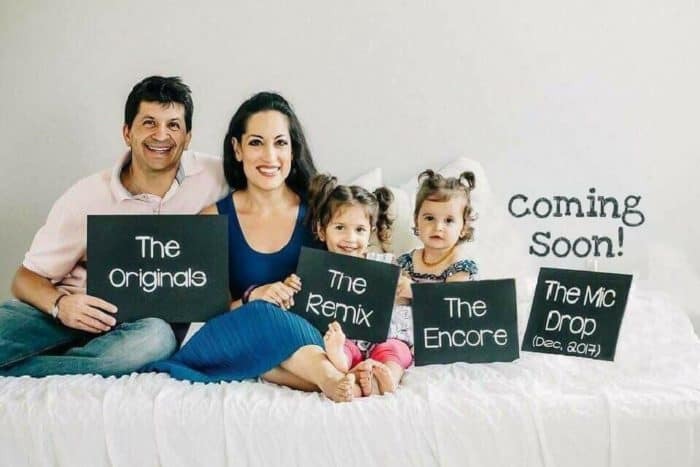 The Orginals, the Remix, the Encore, the Mic Drop! 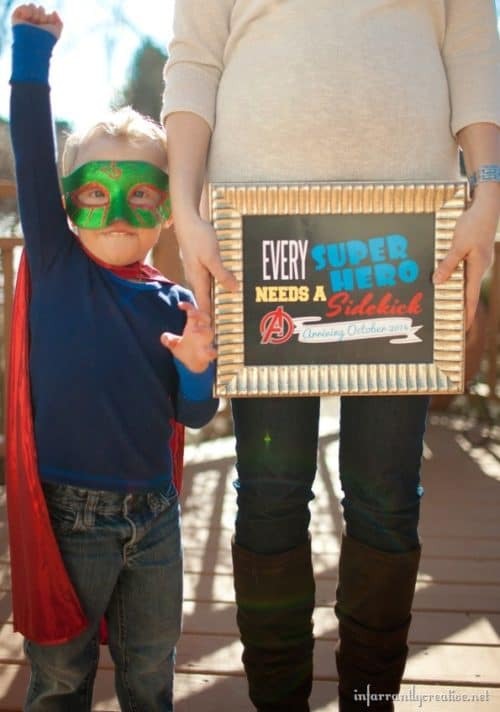 This creative mom made her own signs but Etsy has some adorable Mic Drop Shirts for the un-crafty! | Shared by our readers. 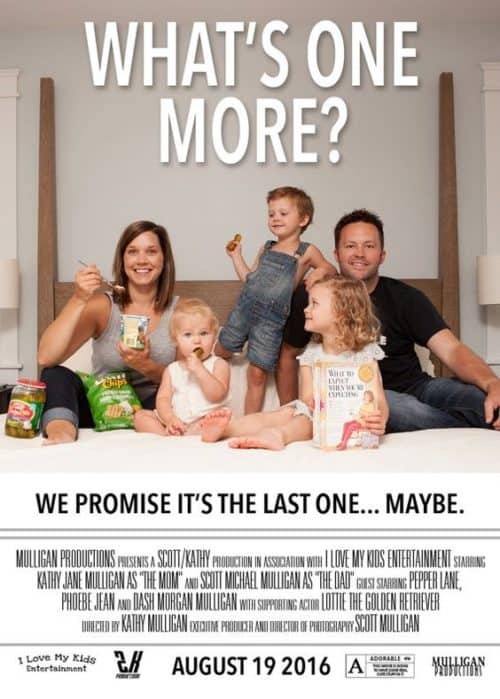 We’re Prego… again! Haha, love everyone’s face in this photo!| Shared by our readers. 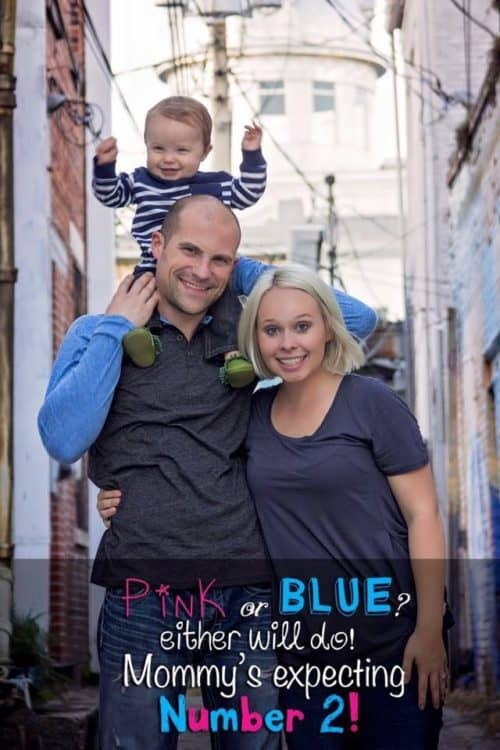 Pink or Blue, either will do! 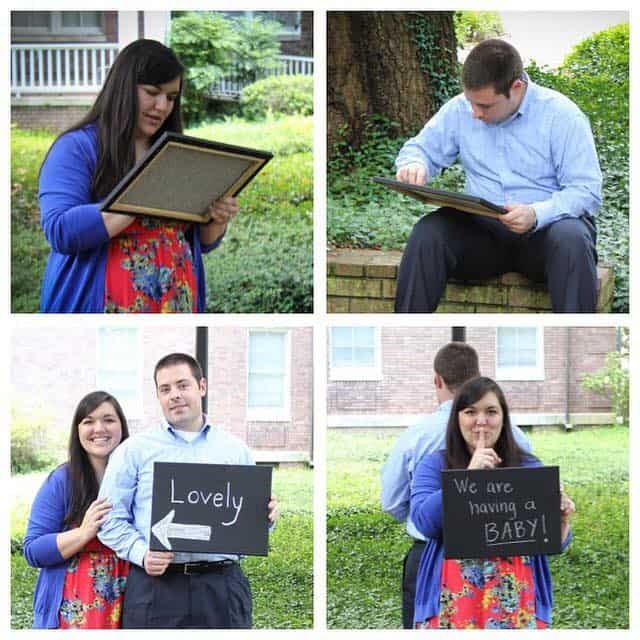 Picmonkey would be a fun place to replicate these photos and add text. | Shared by our readers. 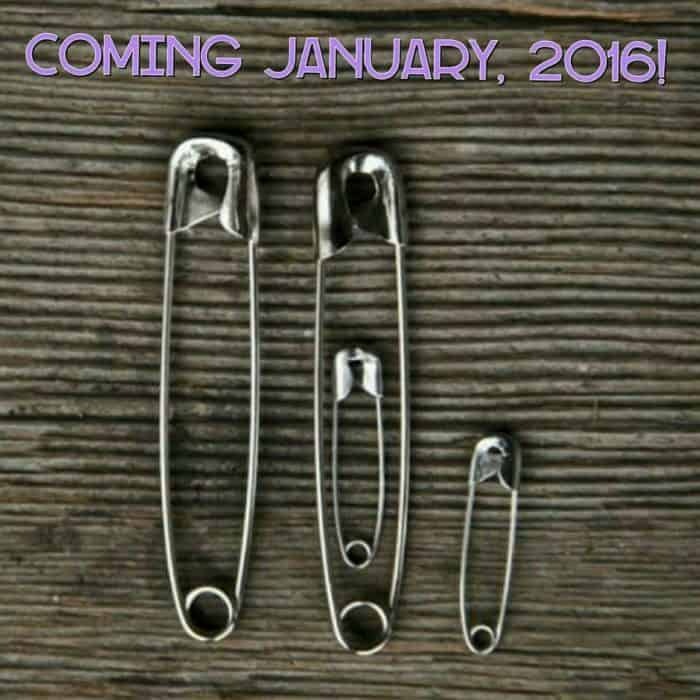 Create a Safety Pin Family – grab various sized safety pins here. | Shared by our readers. Calling for a double? 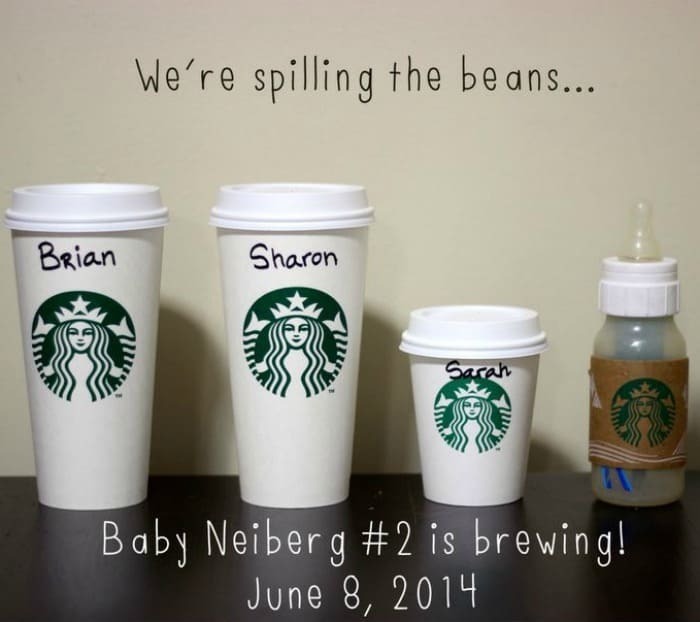 Stroller buddy coming soon! | Shared by our readers. Announce your age with sidewalk chalk. | Shared by our readers. 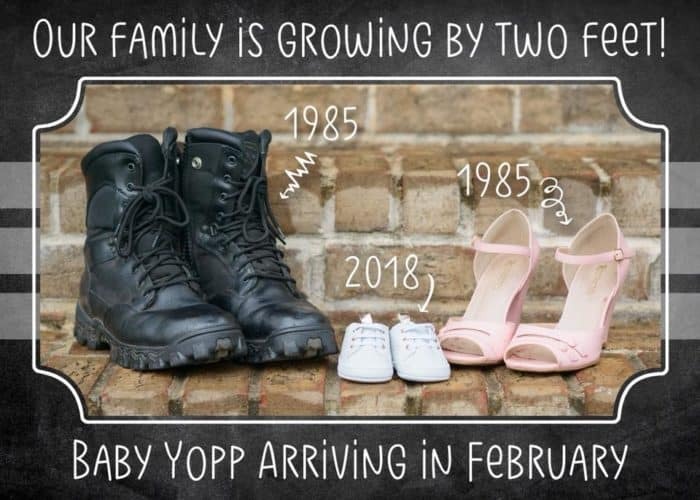 Our family is growing by two feet. | Shared by our readers. This one is too funny and bound to become a future meme. 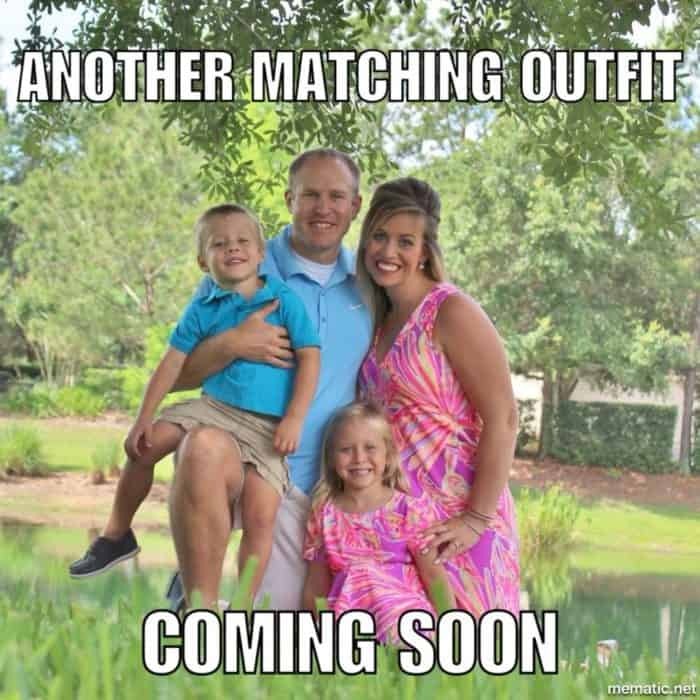 Another Matching Outfit Coming Soon! | Shared by our readers. 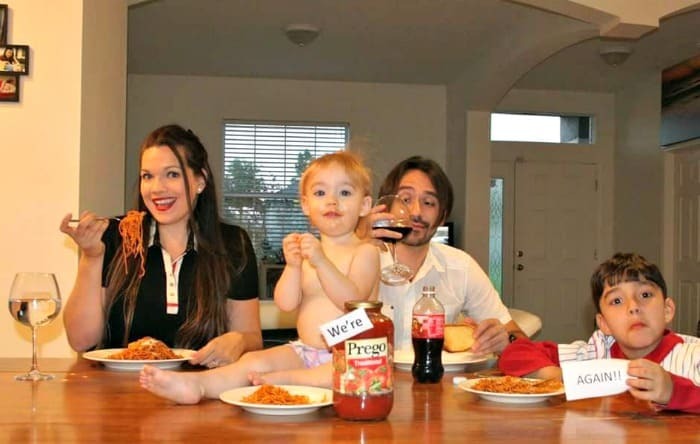 Have each spouse share a description of the other – mom can turn around and share the surprise with dad – how sweet! | Shared by our readers. Toss on the shades, more shade is coming. Pick up baby shades here! | Shared by our readers. 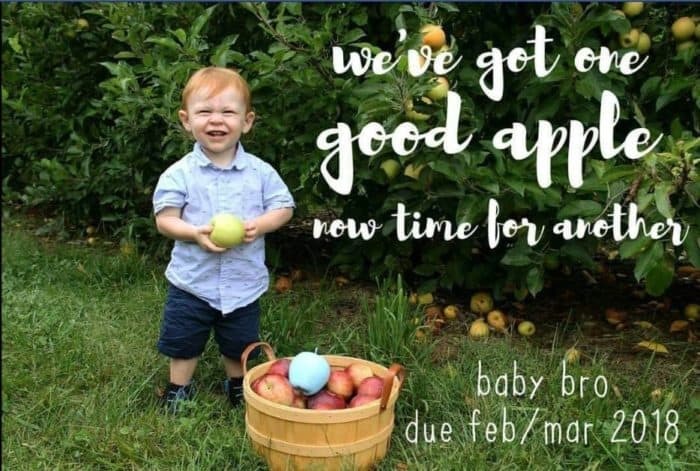 We got one good apple, time for another! This is excellent for fall. 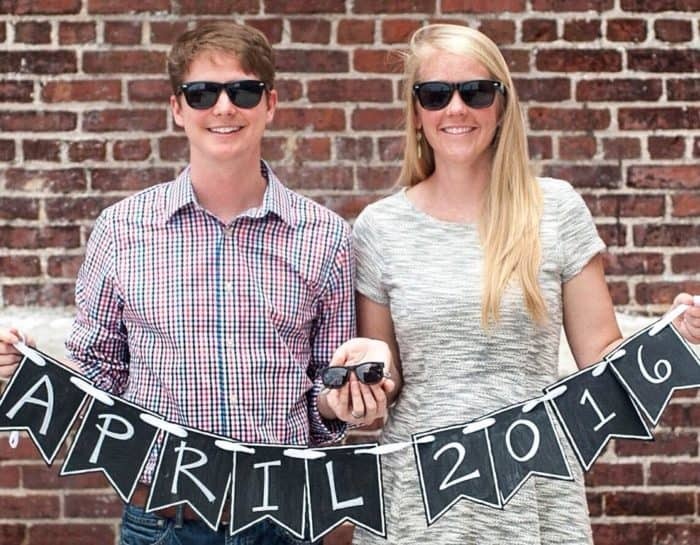 If you are making an announcement in spring, make it about a spring chicken hatching in fall! | Shared by our readers. 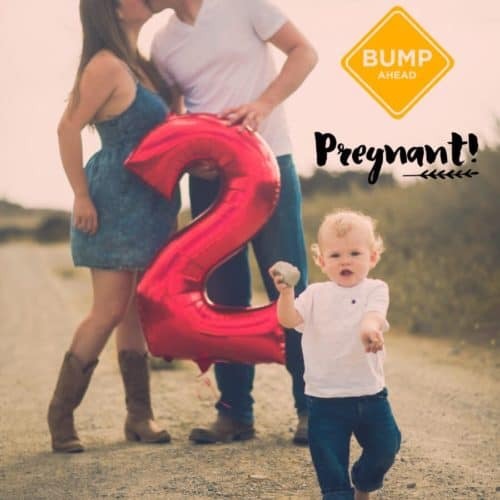 Bump Ahead! 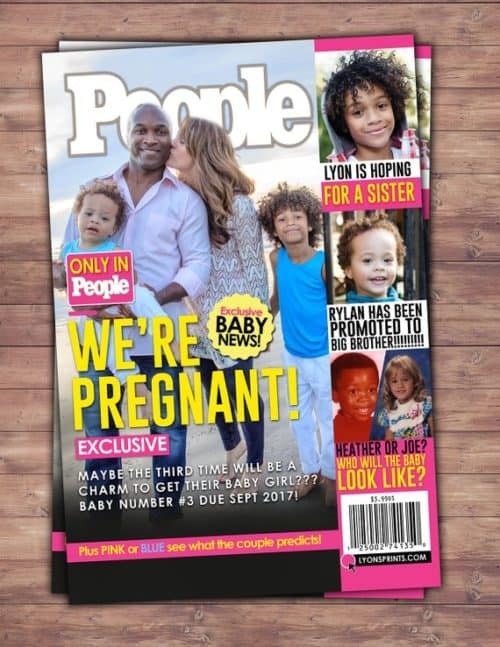 Look who’s expecting! | Shared by our readers. 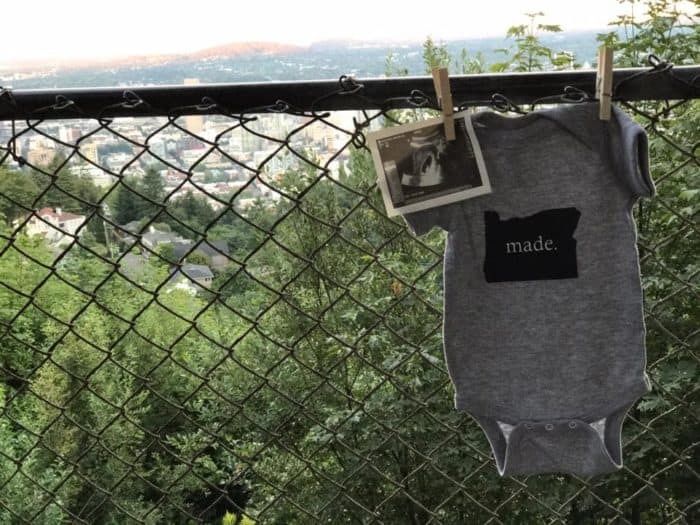 Homemade State Onesie (this one is Oregon!) 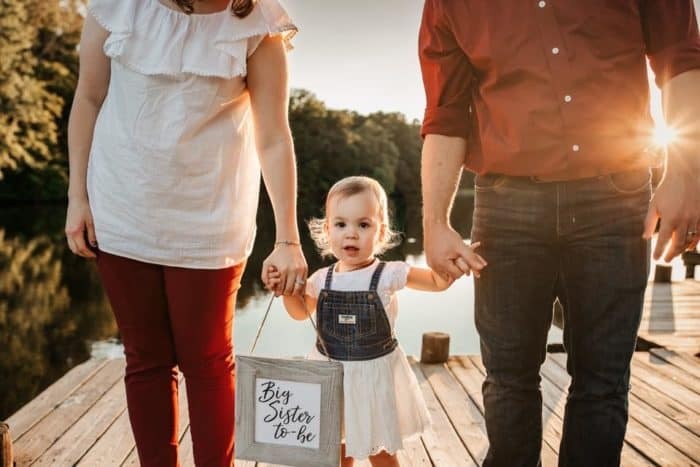 We love how they photographed it in front of their home town. 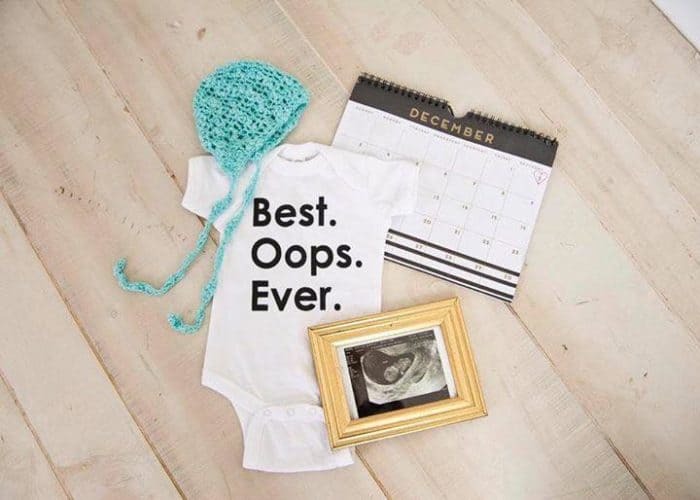 You can find more of these for baby and you under homemade tees! | Shared by our readers. 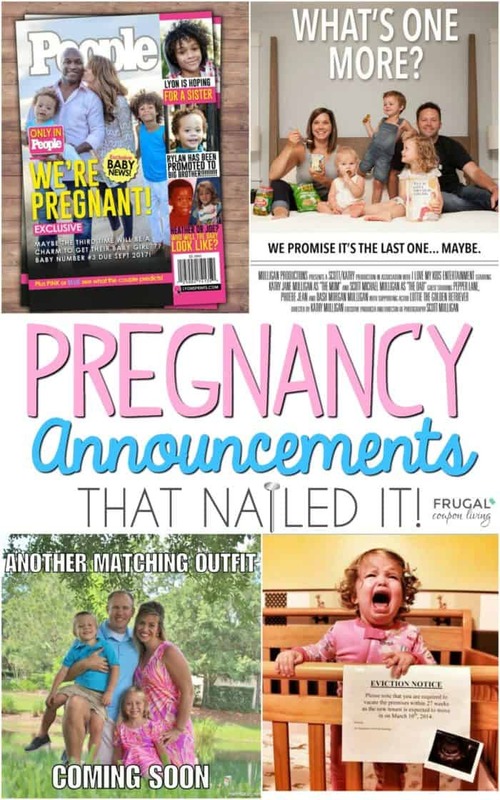 Baby due date calendar. 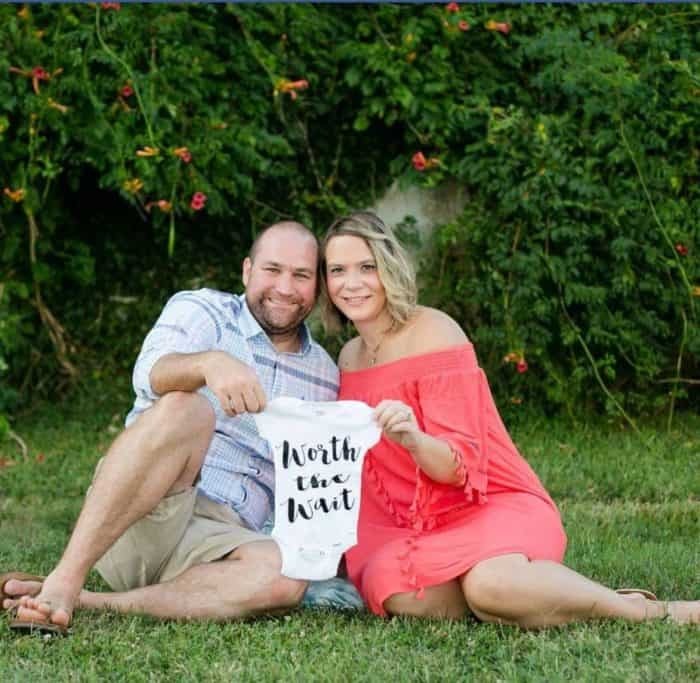 Draw a heart around your due date! | Shared by our readers. 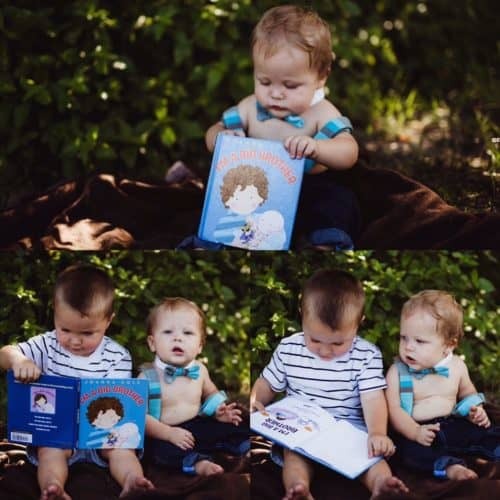 I’m a big… Pick up your I’m a Big Brother or I’m a Big Sister book by Joanna Cole! | Shared by our readers. 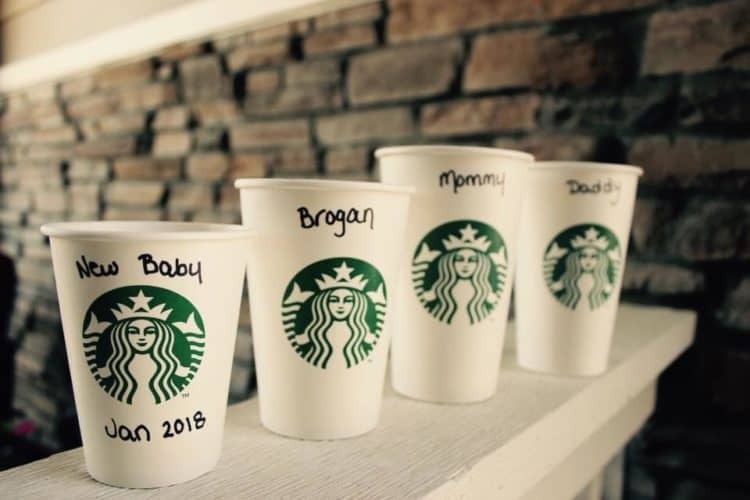 Something’s brewing… | Shared by our readers. 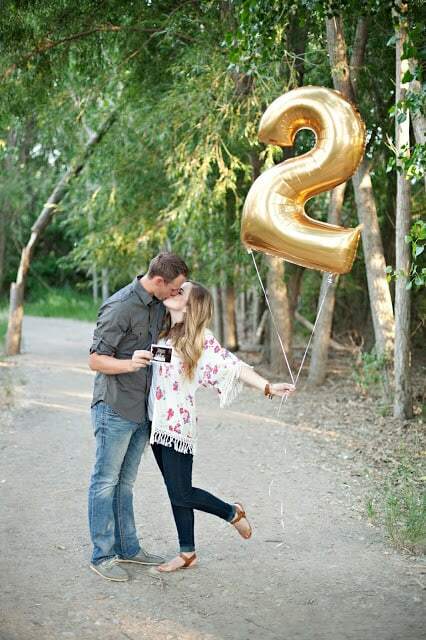 We share a few other Pregnancy Announcement Ideas in our Tips for the First Trimester! Pin to Pinterest. 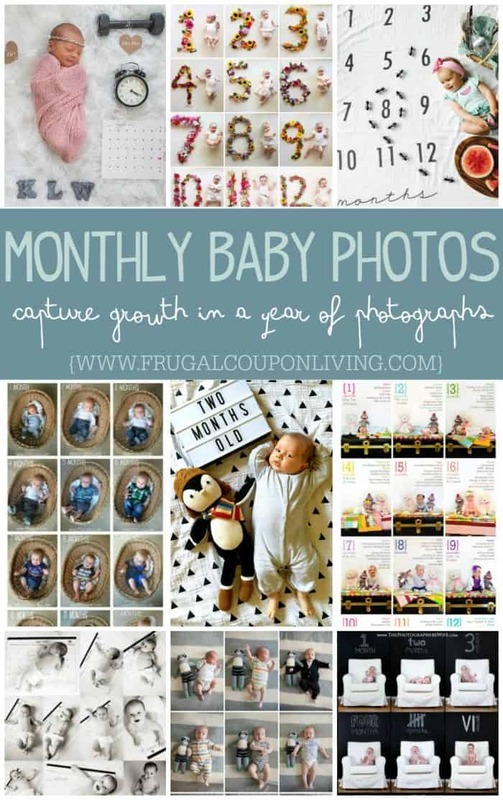 These Baby Milestone Monthly Printables are adorable for photographing a baby’s age. 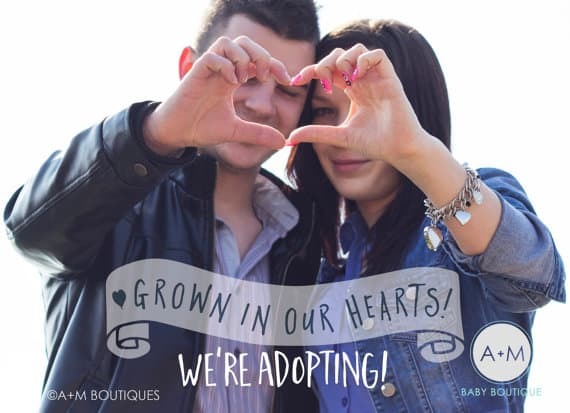 Download this freebie for yourself or print as a shower gift with an 8×10 frame. Pin to Pinterest. 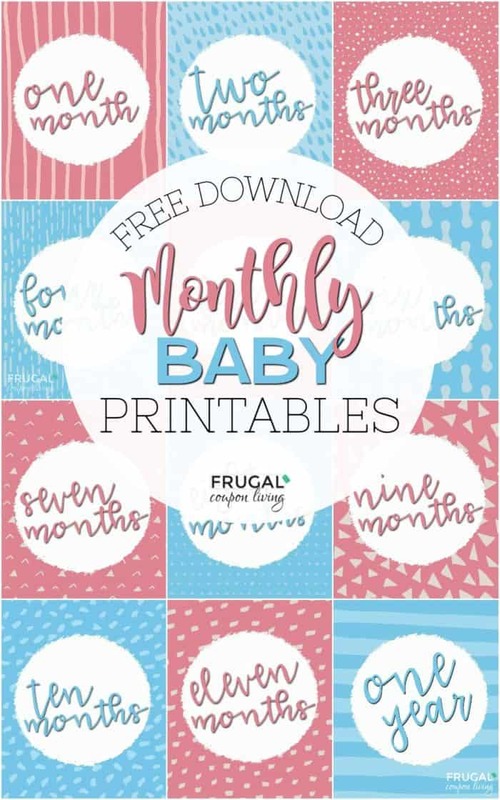 To help with these monthly ideas, grab these free Monthly Milestone Printables. Pin to Pinterest. 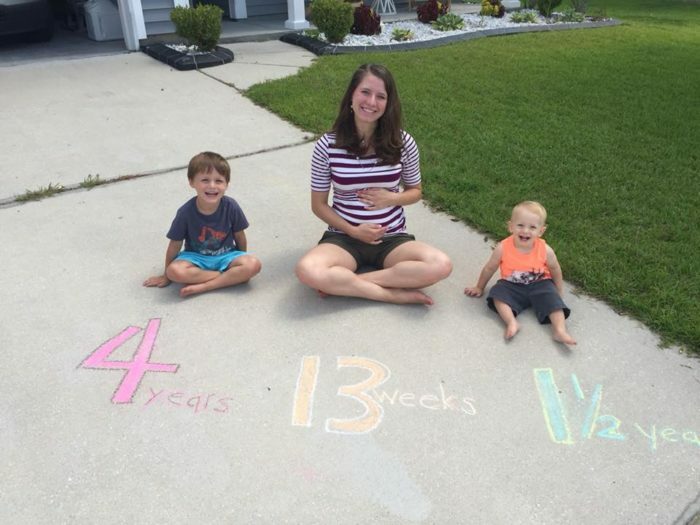 Once baby comes, enjoy these Tips for a Newborn – AKA the Fourth Trimester. Pin to Pinterest. 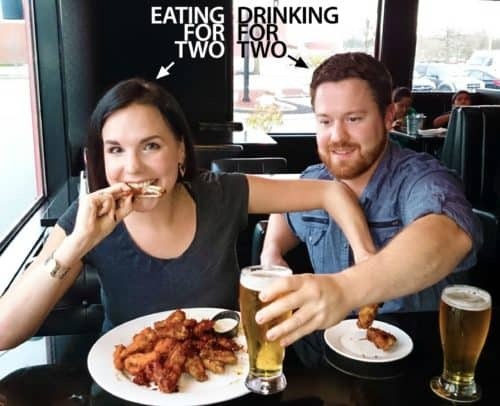 Babies grow up! 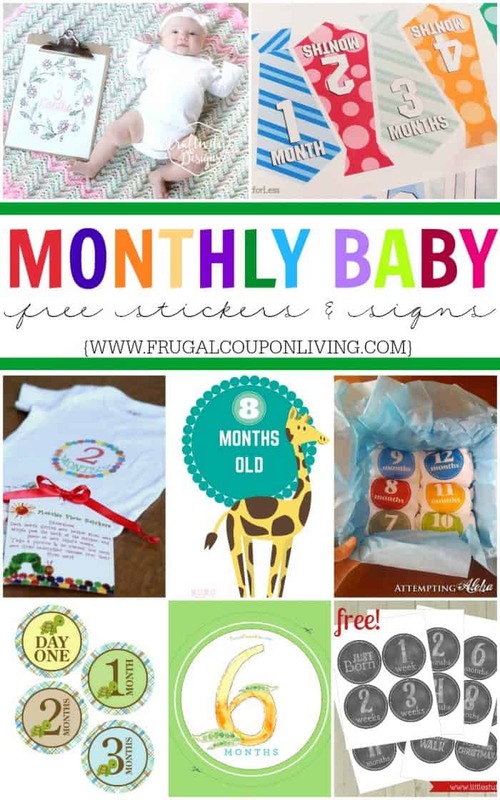 Also take a look at these Toddler Tips and Hacks – Tips for new and old moms! Pin to Pinterest. Moto leggings are so popular and trendy right now – a definite must-have for your fall wardrobe. Get these leggings in a variety of colors for $19.99 (reg. $40). These leggings are a staple for every woman because they are super comfortable and oh so stylish. The waist and legs have a ton of stretch to keep you nice and comfy all day long. They go perfect with any top, dressed up or down. You’ll want these in every color!